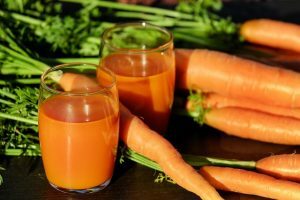 Most people think of carrots as an orange root vegetable that’s good for dipping in hummus and guacamole, not to mention great for sweetening fresh vegetable juice. They’re actually so much more than that. Prior to the 15th– or 16th-century, purple, yellow and red were the only color carrots that were cultivated for consumption (and I always thought the purple carrots at the farmers market were unusual!). Not only do these flavorful, and surprisingly colorful, veggies have a multitude of health benefits, but recently I learned about some symbolism that inspired me. Cardiovascular disease (CVD), affects millions of Americans. Recent studies indicate that dark yellow/orange foods provide incredible protective benefits to prevent CVD. Specifically, carrots show the greatest protective benefits. Even more exciting, these benefits increased as carrot intake increased. 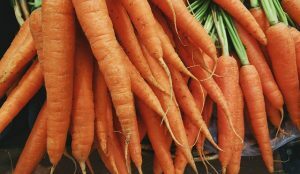 Carrots are rich in potassium, which is a vasodilator. This means that they relax tension in your blood vessels and arteries, increasing blood flow and improving circulation. The improvement in blood flow reduces the risk for heart attack and stroke. Carrots have a high amount of polyacetylenes. These micro-nutrients prevent oxidation in the carrot and appear to have a similar impact inside our bodies. This is particularly evident inside the colon where the interaction of the polyacetylenes with existing chemicals seems to inhibit the production of cancer cells. Many of the foods we eat have symbolic meanings in addition to the nutritional benefits they impart. Growing up in a Jewish household, I always looked forward to apples and honey for Rosh Hashanah to symbolize a sweet new year. While I always think of carrots as a sweet root vegetable, I never associated carrots with the Jewish high holidays. But things change, and now I know more about carrots and their connection to Rosh Hashanah and the new year. I love my Bravo! Wellness logo. When I launched this business, I was lucky enough to work with a fabulous graphic design firm, Oberlander Group. I knew I wanted an exclamation point after the word bravo, but, other than that, I had no idea what the logo should look like. When I received a variety of designs and saw the one with the carrot, I knew that was it. At the time, it served two purposes – it looks like an exclamation point and it said “healthy eating” to me. Now that I know carrots have so much meaning beyond their health benefits makes the connotation even more significant. 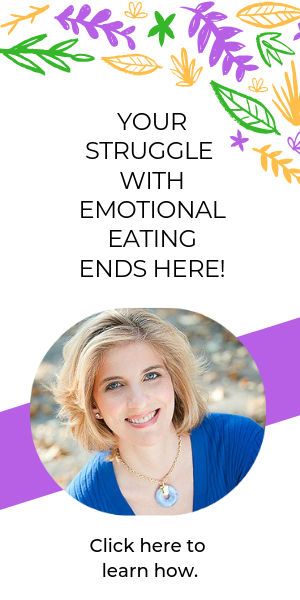 A carrot is truly the ideal symbol for my business as my mission to support emotional eaters to embrace their true selves, remain hopeful throughout the recovery process and ultimately accepting of the richness of an abundantly happy and healthy life becomes more and more critical each and every day. Do you like carrots? What is your favorite way to eat them? Is there a food that has spiritual meaning for you? Let me know in the comments section below.